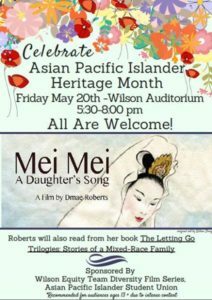 Free Screening of Mei Mei with May 20th at 6:45pm at Woodrow Wilson High School (Portland, Oregon) (1151 SW Vermont St, Portland, OR 97219) along with a book pre-launch. 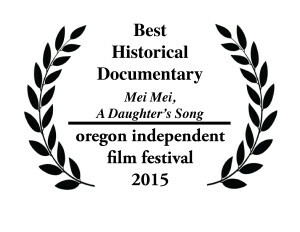 Mei Mei, A Daughter’s Song is 2015 award-winning film for the Best Historical Documentary from the Oregon Independent Film Festival for Wilson Equity and Diversity Film Series Celebrating Asian-Pacific American Heritage Month. More info about Dmae Roberts’ book The Letting Go Trilogies: Stories of a Mixed-Race Family. The official launch will be at Broadway Books May 23rd at 7pm. 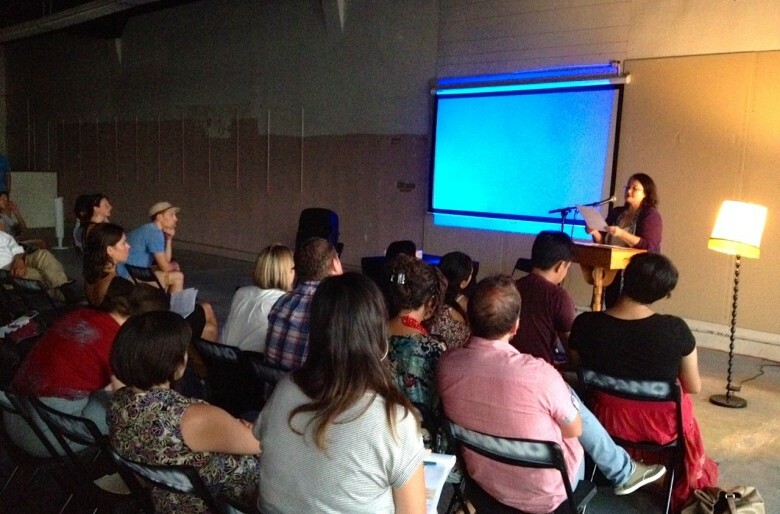 Upcoming Screening Sept. 26th, 4pm! UPDATE! 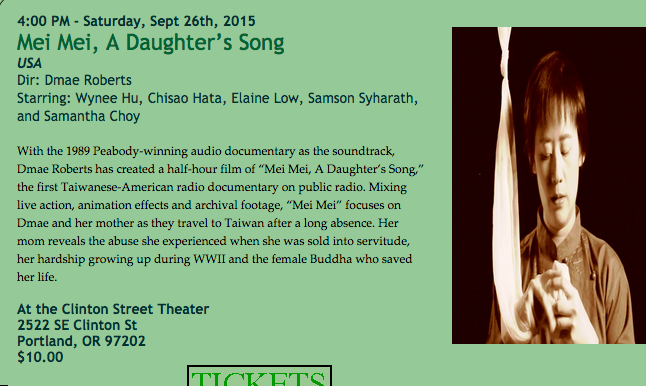 Come to the OIFF premiere of Mei Mei at the Oregon Independent Film Festival! Great news! 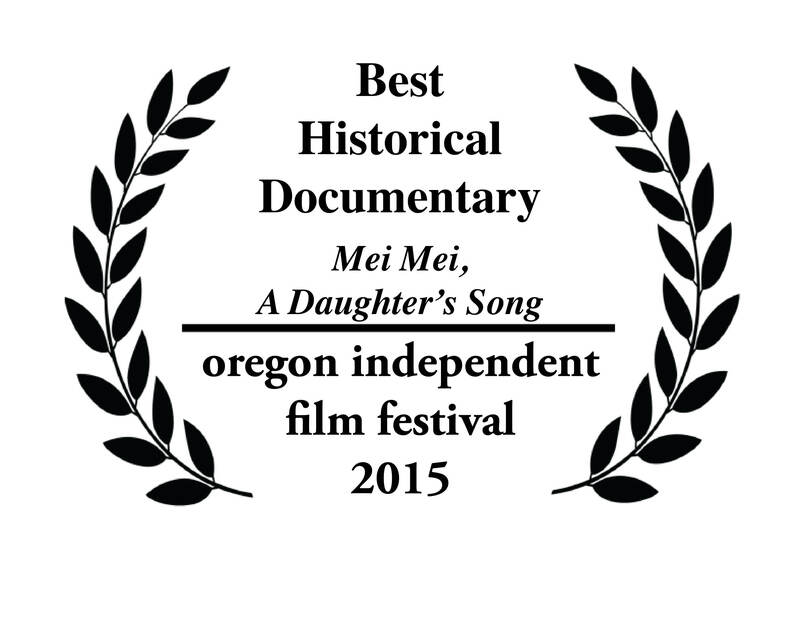 Mei Mei won the award for the Best Historical Documentary from the Oregon Independent Film Festival! 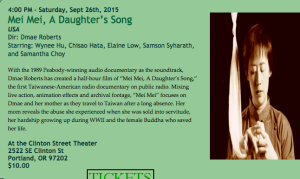 The awards ceremony is Sept. 26th at 7pm–the same day as Mei Mei’s showing at 4pm at the Clinton Street Theatre in Portland. 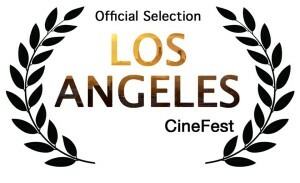 The award ceremony is later that day at 7pm.